The history of CDCI is short but well supported by the long history of CDC Consulting Kenya Limited outlined below. CDCI was incorporated in the state of California firstly as partnership in July 2015, in the County of San Diego. It was later incorporated as a Limited Liability Company in February 2016. CDCI registered offices are 2150 Comstock St. #712901, San Diego 92171, California. Since its incorporation CDCI has been able to win one assignment in Malawi where it is currently undertaking a Feasibility Study for the Establishment of Agro-Processing facilities in Special Economic Zones. The history of CDC Kenya dates back to 1992 when Dominion Consultants Limited (DCL) was operationalized. DCL was itself registered in 1985 but only came into operation in December 1992. It was the consulting arm of Wachira Irungu Certified Public Accountant. During the good times of DCL, the firm participated in a lot of restructuring of the various economies within East Africa under the then prescriptions of the World Bank and The International Monetary Fund (IMF), Structural Adjustments. In August 1997 some of the directors and shareholders of DCL found it prudent to move out and concentrate in advisory services targeting mainly the public sector. Pinnacle International Consulting Limited (PLC) was as such established and registered in Kenya in August 1997. PLC continued with its services mainly in public sector advisory covering public finance, financial management system, business develop, human resources management and ICT. In 2006 PLC merged with some other firms providing consulting advisory services and thus registered Center for Development Consultants Limited (CDCL) in 2006. In 2012 CDCL changed its name to CDC Consulting Group Ltd (CDC). 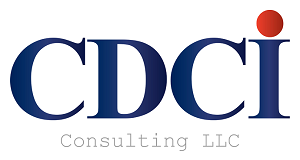 CDC continue to operate in Kenya and Rwanda where it was also registered in 2013. CDC Kenya has its offices in Commodore Office Suites, Suite #3, Kindaruma Road in Kilimani area. Restructuring of the Tea Sector and KTDA in particular. This was a very successful story as after the restructuring proposals the organisation was privatized using unequal method of share ownership which were prescribed in our study. Firstly to ensure its market sustainability we developed a strong producer company which was able to counter the strong tea buyers in the world represented by Unilever. Secondly we wanted to retain its acronym (KTDA) due to the market branding. As such we had to substitute the word “Authority” with “Agency” which was not a walk in the park as it took the team of consultants a long time to get the word substitute. Since then KTDA has remained a major producer of quality tea with a farmer’s factory operation of 39 at the time which have now grown to over 50. KTDA continue to be owned by the farmers through their factory companies. Our firm today is a leader in the decentralized systems of governance and the unequal devolution system institutionalized in Kenya through the new constitution promulgated in August 2010. The main Principal of the firm was the team leader for the development and drafting of the County Government Financial Management Bill which later was amalgamated with other developments by the National Treasury to create the current Public Finance Management Act. In addition, he was key to the development and legislation of the other devolved system of governance bills including the County Government Bill, The Cities and Urbans Bill, the Transition to Devolved Government Bill, and the Intergovernmental Relations Bill. All these bills are now Acts of Parliament which have shaped the Kenyan Unequal decentralized governance system.